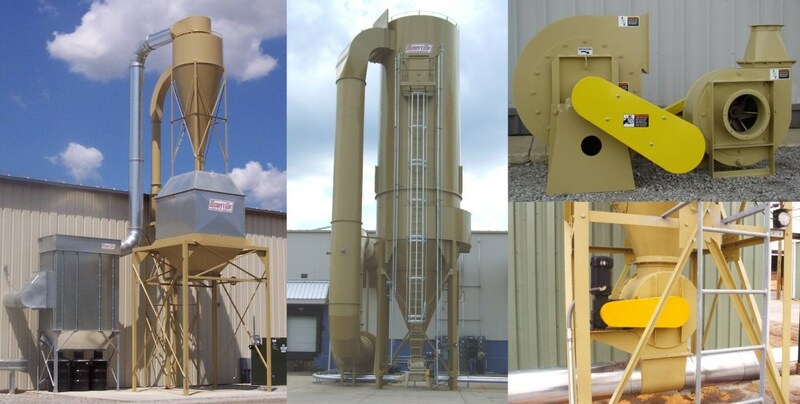 HAL Series Rotary Airlocks | Honeyville Metal, Inc. 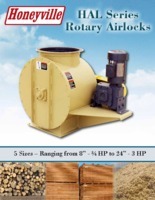 The HAL Series Rotary Airlocks are available in 5 sizes. 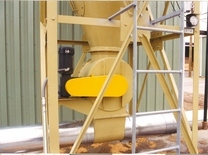 The airlocks have a round inlet and a square outlet. PVC sandwich flex-tip wipers are standard on the airlock with optional carbon steel flex-tip limiters for special applications where a rigid seal is needed. The bolt-on side panel allows for easy access to change the PVC tips without removing the rotor. Model HP Round Inlet Square Outlet Overall Hgt # of Vanes RPM Cap. @ 75% Fill (CFR) Cap. @ 75% Fill (CFM) Total Lbs.